Born and bred in Quakers Hill Jamie is passionate about both the area and real estate together with his hunger to succeed, Has seen Jamie’s reputation within the real estate industry blossom. 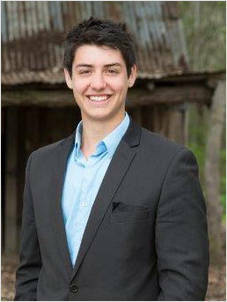 2012 - Jamie took out the Gold Award for Sales Assistants within the Laing + Simmons Group. Having the opportunity to attend cutting edge training with Laing + Simmons Jamie has been identified by leading trainers as having a big future. With his positive and polite nature together with a drive to be successful sees him working that little bit harder for his clients.